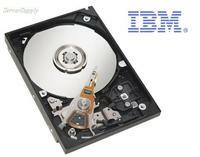 IBM - 39T2697 IBM - 40.0GB 4200RPM 1.8INCH HARD DRIVE FOR THINKPAD X40. IN STOCK. SHIP SAME DAY. Toshiba - MK1629GSG MK1629GSG Toshiba 160GB 5.4K RPM 8MB Buffer Form Factor 1.8Inches Hard Drive. New Bulk Pack. Toshiba - MK2529GSG MK2529GSG Toshiba 250GB 5.4K RPM 8MB Buffer Form factor 1.8Inches Hard Drive. New Bulk Pack.